Plans for a Greenway to follow the Grand Canal across the county from Hazelhatch to Edenderry have been unveiled with a Part 8 notice published by Kildare County Council yesterday. It is the Kildare element of a larger plan to have a greenway that follows the canal from Dublin to the Shannon. Work is already underway in both Dublin and Offaly. Greenways have been extremely popular where they have been established in other parts of the country, bringing huge economic boosts to the local areas, to the point of rejuvenating economically depressed areas. The fact that it will link Kildare to the huge population centre of Dublin will only add to the potential for success. 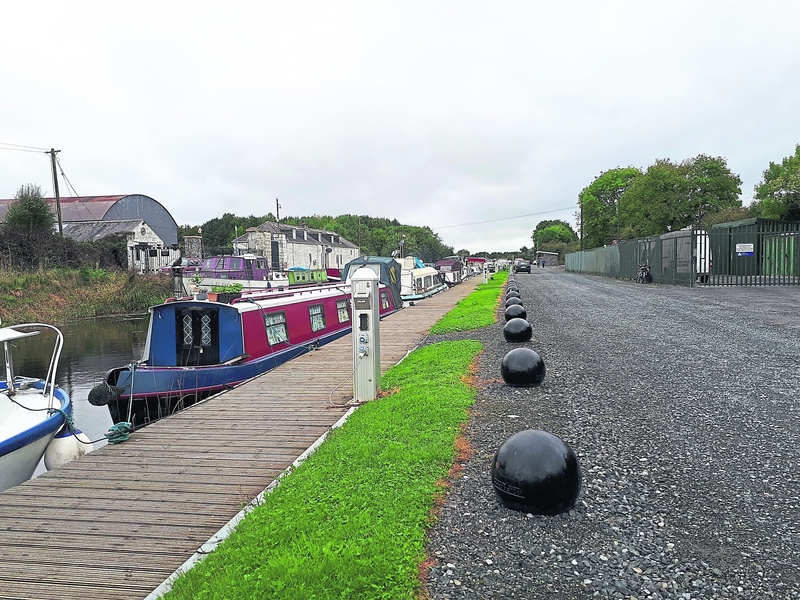 The news comes as a plan to create a Blueway via the canal and River Barrow down through Monasterevin and Athy is currently going through An Bord Pleanala. Part 8 is a planning process that County Councils must go through to get planning approval of their own projects. The proposed development is a shared walking and cycling greenway route along the Grand Canal towpath. It will involve the improvement and upgrading of the existing towpath along the Grand Canal through the provision of a suitable surface: Quarry Dust, Surface Dressing or Asphalt depending on local conditions for pedestrian and cyclist use. It will also include the provision of traffic safety measures and signage to facilitate safe pedestrian and cycling crossings and access to shared surfaces at Sallins, Digby Bridge, Landenstown Bridge, Bonynge Bridge (known locally as Healy’s Bridge in Downings) and Robertstown and along limited sections of existing local road network. The Part 8 notice explains that there are a number of protected structures located within or adjacent to the proposed route, but that no works are proposed to any protected structure, and the proposed development will not materially affect the character of any protected structure. An archaeological assessment of the Grand Canal has been prepared. The plans will be available for inspection or purchase for a small fee to cover the printing at Kildare County Council’s Planning Department, Áras Chill Dara from tomorrow November 28 January 3 next. It is also available to view by clicking here from tomorrow onwards. Submissions and observations may be made online by clicking here, again from tomorrow onwards or in writing to: Senior Executive Officer, Planning Department, Áras Chill Dara, Devoy Park, Naas. All submissions and observations should be headed:“Grand Canal Greenway – Part 8” and received before 5.00 pm, Wednesday, January 16 next. The Greenway will follow the canal as it passes through the following townlands of Lyons, Clonaghlis, Tipperstown, Ardclough, Boston, Clownings, Baronrath, Keeloges, Alasty, Killeenmore, Killeenbeg, Sherlockstown Common, Sherlockstown, Kerdiffstown, Sallins, Osberstown, Waterstown, Barrettstown, Landenstown, Donore, Goatstown, Downings South, Moods, Mylerstown, Robertstown East, Robertstown West, Lowtown, Derrymullen, Allenwood South, Allenwood Middle, Allenwood North, Killinagh Upper, Killinagh Lower, Ballybrack, Kilpatrick, Ticknevin, Ballyhagan and Clonkeen.